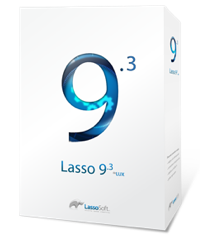 There are a number of open source frameworks available for Lasso. They've been designed to reduce and/or eliminate development time for common tasks and allow you to focus on the critical custom elements of your application. PageBlocks was designed to provide a structured context to automate several of the rote tasks in web application coding, and provide comprehesive toolkits for security, user authentication/authorization, error management, input validation, user interface controls, logging, and more. PageBlocks was originally created by Greg Willits and is currently maintained by Nikolaj de fin Licht. 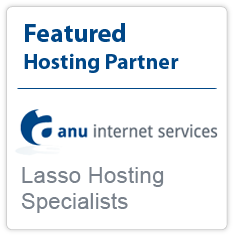 LassoFusebox, as the name implies, is a Lasso port of the popular Fusebox framework. Fusebox is comprised of a framework for developing web applications and a development methodology of best practices It employs many advanced techniques such as inheritance, drag and drop components, and Fusedocs - a javadoc style of commenting code. LassoFusebox is maintained by Tami Williams. engineRoom is an MVC-like framework designed to provide you with the tools you need to build sites quickly, without constraints, and then get out of your way. engineRoom was created by Alex Pilson with contributions from Randy Phillips. itPage is a CMS that offers advanced features for the Lasso developer. itPage is provided as open-source, fully-commented code. Documentation, screencast tutorials, and a talk list are available for use. itPage was created, and is maintained by, Eric Landmann. SingleTrack is a lightweight MVC framework and CMS based on taxonomies. It was created, and is maintained by, Brian Loomis.